The Commission shall consult appropriate scientific bodies. STECF shall be consulted, where appropriate, on matters pertaining to the conservation and management of living marine resources, including biological, economic, environmental, social and technical considerations. Consultations of scientific bodies shall take into account the proper management of public funds, with the aim of avoiding duplication of work by such bodies. In the field of conservation and management of living marine resources, including biological, economic, environmental, social and technical considerations, the group’s task shall be: (a) to assist the Commission in the preparation of legislative proposals, delegated acts or policy initiatives. (b) to monitor the evolution of policy and bring about an exchange of experience and good practice. 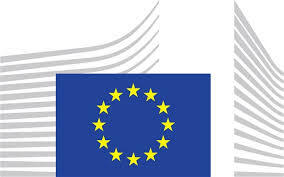 The Commission may consult the group on any matter relating to marine and fisheries biology, fishing gear technology, fisheries economics, fisheries governance, ecosystem effects of fisheries, aquaculture or similar disciplines. The Commission may require the adoption of such an opinion within a defined period. In agreement with the Commission services the group may also provide opinions on its own initiative to the Commission on such matters. The chair of the group may advise the Commission to consult the group on a specific question.